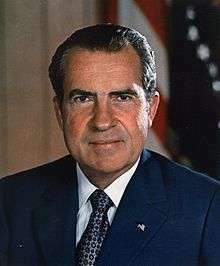 Electoral history of Richard Nixon, 37th President of the United States (1969–1974), 36th Vice President of the United States (1953–1961); United States Senator (1950–1953) and United States Representative (1947–1950) from California. Nixon ran unopposed in the 1948 Republican primary. Source (Popular Vote): Leip, David. "1952 Presidential Election Results". Dave Leip's Atlas of U.S. Presidential Elections. Retrieved August 1, 2005. Source (Electoral Vote): "Electoral College Box Scores 1789–1996". National Archives and Records Administration. Retrieved August 1, 2005. There were 537 electoral votes, up from 531 in 1956, because of the addition of 2 U.S. Senators and 1 U.S. Representative from each of the new states of Alaska and Hawaii. (The House of Representatives was temporarily expanded from 435 members to 437 to accommodate this, and would go back to 435 when reapportioned according to the 1960 census.) Source (Popular Vote): Leip, David. "1960 Presidential Election Results". Dave Leip's Atlas of U.S. Presidential Elections. Retrieved February 7, 2008. Note: Sullivan / Curtis ran only in Texas. In Washington, Constitution Party ran Curtis for President and B. N. Miller for vice-president, receiving 1,401 votes. Source (Electoral Vote): "Electoral College Box Scores 1789–1996". National Archives and Records Administration. Retrieved August 2, 2005. (a) This figure is problematic; see Alabama popular vote above. 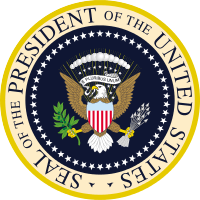 (c) Oklahoma faithless elector Henry D. Irwin, though pledged to vote for Richard Nixon and Henry Cabot Lodge, Jr., instead voted for non-candidate Harry F. Byrd. However, unlike other electors who voted for Byrd and Strom Thurmond as Vice President, Irwin voted for Barry Goldwater as Vice President. Source (Popular Vote): Leip, David. "1972 Presidential Election Results". Dave Leip's Atlas of U.S. Presidential Elections. Retrieved August 7, 2005. Source (Electoral Vote): "Electoral College Box Scores 1789–1996". National Archives and Records Administration. Retrieved August 7, 2005. (a)A Virginia faithless elector, Roger MacBride, though pledged to vote for Richard Nixon and Spiro Agnew, instead voted for Libertarian candidates John Hospers and Theodora Nathan. (b)In Arizona, Pima and Yavapai counties had a ballot malfunction that counted many votes for both a major party candidate and Linda Jenness of the Socialist Workers Party. A court ordered that the ballots be counted for both. As a consequence, Jenness received 16% and 8% of the vote in Pima and Yavapai, respectively. 30,579 of her 30,945 Arizona votes are from those two counties. Some sources do not count these votes for Jenness. ↑ Although he was born in Texas and grew up in Kansas before his military career, at the time of his election Eisenhower was president of Columbia University and was, officially, a New York resident. During his first term as president, he moved his private residence to Gettysburg and officially changed his residency to Pennsylvania. ↑ There is some confusion about Eisenhower's home state in this election. Both [Leip] and the National Archives give Eisenhower's home state as New York, his state of residence when he was first elected in 1952. There are strong reasons to believe that these two sources are erroneous for 1956: The National Archives cites the Senate Manual as a source, and the Senate Manual has Eisenhower's home state as Pennsylvania. The brief description for the book Republican Party National Convention (26th : 1956 : San Francisco) in the Library of Congress' online catalog refers to “Dwight D. Eisenhower of Pennsylvania”. Finally, the Maryland Manual has Eisenhower residing in Gettysburg, Pennsylvania. ↑ Although he was born in California and he served as a US Senator from California, in 1968 Richard Nixon's official state of residence was New York, having moved there to practice law after his defeat in the 1962 California gubernatorial election. During his first term as president, Nixon re-established his residency in California. Consequently, most reliable reference books list Nixon's home state as New York in the 1968 election and his home state as California in the 1972 (and 1960) election. 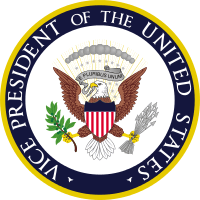 ↑ "Electoral Votes for President and Vice President". Senate Manual. Government Printing Office. 2005. Retrieved 2006-03-14.